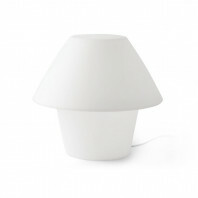 The Balda-G White special lamp is ingeniously simple enough to be conspicuously placed anywhere around or outside your home, but bright and practical enough to make all the difference in the world. 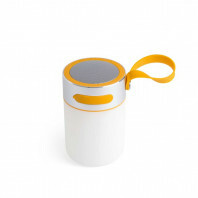 This portable lamp made from opal ABS and emitting an LED light source containing a 3W power is a great option when looking for a simple and easy to use portable lamp for any on-the-go circumstance or situation. 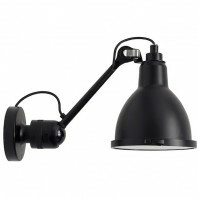 The design of the lamp, with an easy to carry handle, is perfectly crafted so that it has the ability to be as mobile as you are. 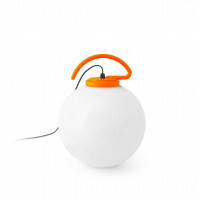 Not to be confused with the details or features of our feline friends, the Cat Portable Lamp, is however, a portable device that signifies simplicity and practicality. 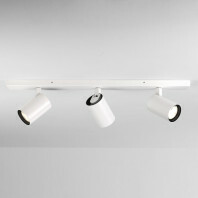 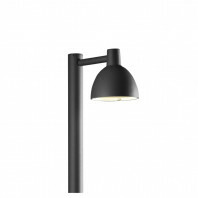 Brought by Estudi Ribaudi once more, comes an innovative design, built for another extension of outdoor lighting. 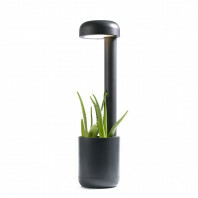 The GROW LED dark grey wall lamp is a great addition to the collection which allows for a simple, yet powerful and purposeful lighting situation. 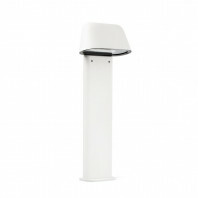 The Faro Sentinel Matt white beacon lamp, which is also available in grey, is another highly functional and attractive addition to the SENTINEL series, made by the Catalan studios: Estudi Ribaudi. 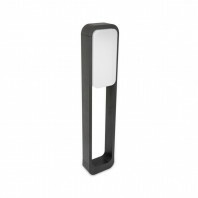 Also in the search for a combination of straight lines and rounded edges comes the design for the Sticker LED dark grey beacon lamp. 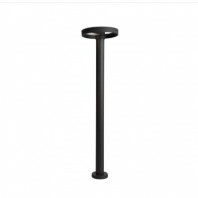 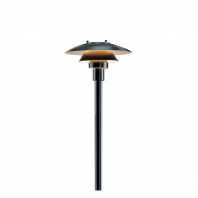 This lamp is also designed for the outdoors and since it comes with the fact that it must not be pinned to a wall, the beacon light is virtually portable and has everything that you would love from an outdoor lamp. 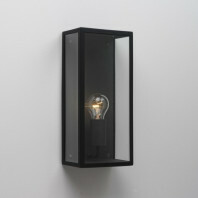 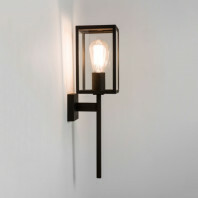 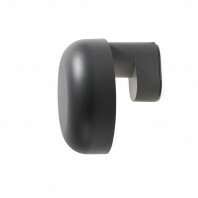 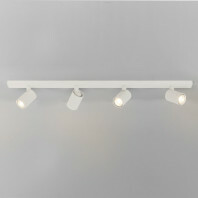 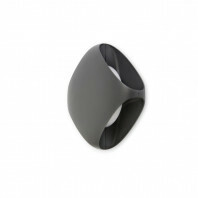 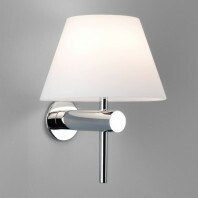 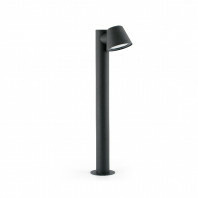 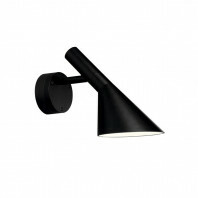 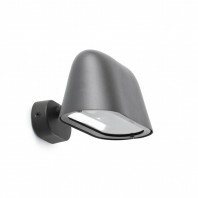 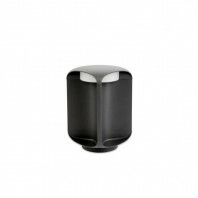 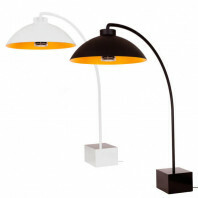 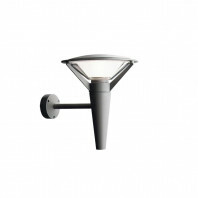 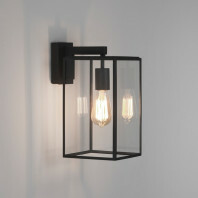 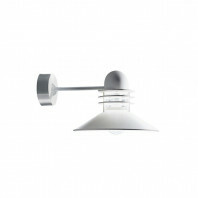 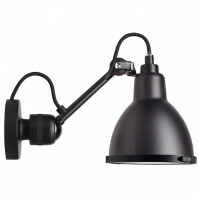 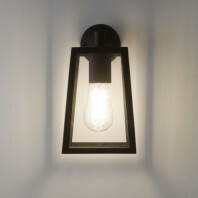 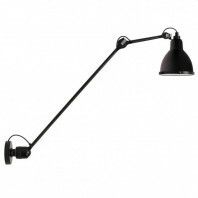 The Sticker LED Dark Grey Wall Lamp is a fantastic outlet for the practical and considerately space conscious designer. 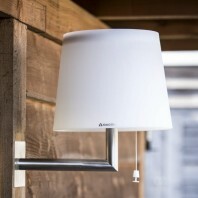 When creating the theme for your outdoor space, the Sticker Wall Lamp can be easily integrated into your design. 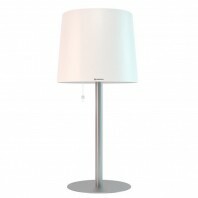 This all-white table lamp from Spain is a perfect addition to any simple, modern styled home looking to keep the theme of a house, garden or room looking in mint and clean condition. 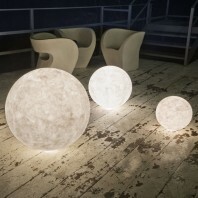 Fatboy’s Rockcoco Transparent is the first chandelier lighting solution that is able to be used in exterior spaces. 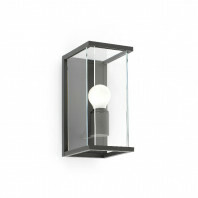 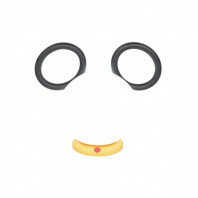 Hang it above your jacuzzi area, or on your patio to provide a funky, retro feel. 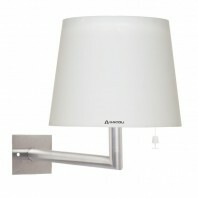 You can, however, also hang it inside above your dining room table, or in your living area. 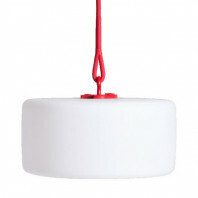 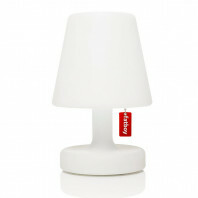 Fatboy’s Transloetje is a table lamp with an individual form. 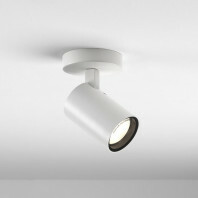 While, from the outside, it may seem like an outdated lamp design, it contains an energy efficient LED light bulb. 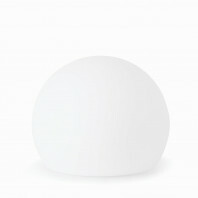 Mooon! 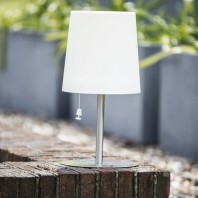 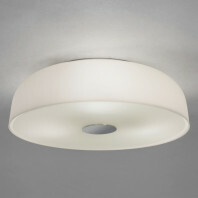 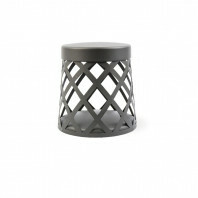 is equally at home indoors or outdoors, on a table or pedestal table, as mood lighting or a bedside lamp. 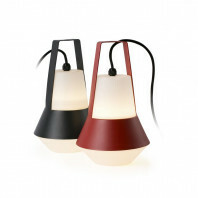 It makes the ideal companion for sociable meals and gentle evenings alike. 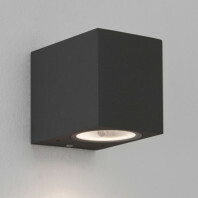 Created by designer Tristan Lohner with the vision of not only visual appearance, but of practicality. 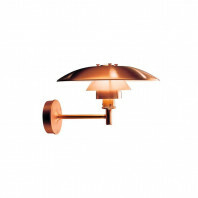 His collection offers the opportunities to choose the stand for your Balad Lamp that fits the perfect situation in your setting. 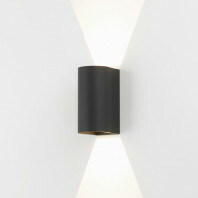 In other words, his collection gives you the chance to create your own light in a sense. 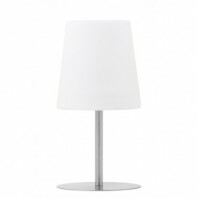 445,00 € Delivery: 3 weeks. 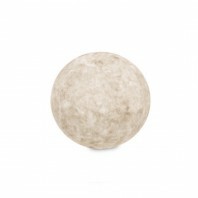 Get a little closer to the moon This mesmerizing lamp is inspired by the moon, it's lunar matter is emphasized by the texture of the material Nebulite®. 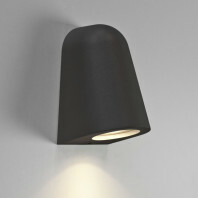 The Ex Moon lamp is metaphoric and creates an efficient and functional light source as well as an atmospherical and evocative lighting. 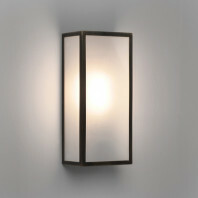 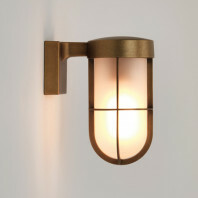 This beautiful outdoor wall light has a lantern look that will make you travel back in time with its old and elegant design.